Australia may be beautiful, but it's also deadly. The world's most poisonous creatures - snakes and spiders alike - reside there. The water also teems with venomous animals, including the blue-ringed octopus. 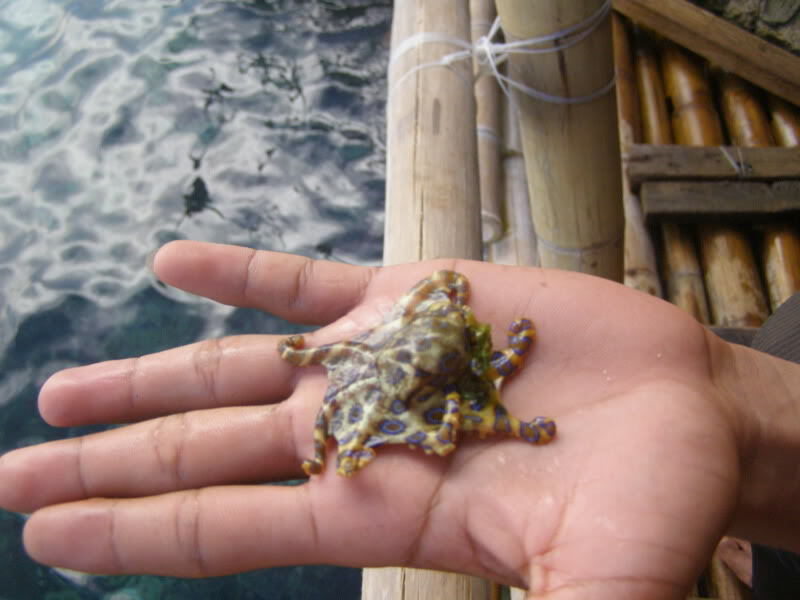 The tiny octopus does appear "cute," fitting within the palm of the unwitting tourist's hand. This unnamed individual apparently had no idea that the blue-ringed octopus contains enough poison to kill 26 men; its bite is often so subtle that the person being bit doesn't even realize it. Next time you go to Australia, exercise a bit more caution than this Knucklehead did.